In my endless love and quest of all things vintage, I’ve run out of space in my house for my massive personal vintage collection and need to sell some of my treasures. 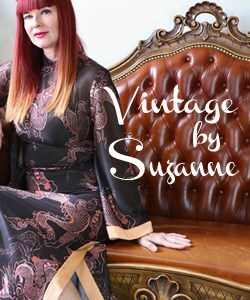 My Etsy store Vintage By Suzanne is now open and ready for business! Plus I’m having a sale! This handbag is STUNNING. Truly. I’m so sad that my feet are too large for these lovelies. Such a timeless sweet evening bag. This is the most unique handbag I own. The closure is on the sides of the handle which click to open the handbag. This is simply not my colour, otherwise, I’d be keeping this eye catching piece. 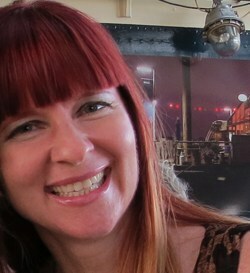 Check out more of my personal vintage collection at Vintage by Suzanne below. Prices below are in Canadian dollars. As a thank you to my readers I’m offering a special sale of 15% off until July 22 on any items purchased in my store. Simply add the code VINTAGEROCKS at checkout to receive your discount. LOLOLOL,,,,Those boots are indeed super cute…and I just happen to have the Cinderella feet to fit! How exciting! You have the BEST taste and a real eye for cool vintage. I just know I’ll find something in your shop. I have a bit of an Etsy addiction. Your handbag collection is second to none. If I didn’t have toes those boots might fit. And the dress! Aaaah. Pass me another martini, would you, hon? You truly have the eye. This sale will be wildly successful! Congrats on opening your new vintage Etsy store! Your selection of handbags is amazing! I adore the first beaded one from France you featured in this post. You have such a great eye to vintage items. I only wished i knew how to wear it so well like you do. I see an organisational bug has hit you. First the shoes, now the bags! They are all fabulous and I don’t know how you bear to let them go. But you will do someone’s heart good…or a lot of someone’s hearts good! 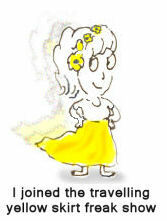 Hi, dear Suzanne, I am finally here, my blog and computer are finally on again! I loooved the items! The beaded bags are lovely, the 1960s dress fantastic and the boots – oh my word, the boots! But unfortunately they are not my size, otherwise I would buy them now! They are simply amazing! Red is my favorite color! Hope you have a lovely week! Bisous! Your vintage bags are fabulous. I just purchased two at the beginning of the year – had been wanting one for a while now. I am pretty sure they will sell fast.